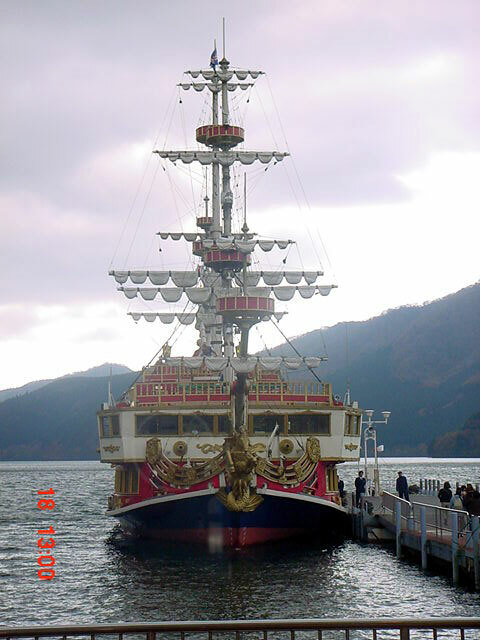 These are replica pirate ships cruising along lake Ashi, they provide some of the best sightseeing experience for tourists to Hakone, enabling them to enjoy the spectacular views of the mountains, valleys and beaches along the bank of lake Ashi while enjoying the comfort of these ships. They are four in number: "Royal", "Frontier", "Victoria" and "Vasa", get on the deck of one of them and let the soft breeze from the lake blow out all your stress of city life. Various kinds of drinks, souvenirs etc can be purchased onboard.